On Monday Apple, news organizations, Corporate lobbyists, academics and AT & T join Microsoft software in legal battle as a force against US government who wanted to access data of customer which is overseas stored, Reuters reported. 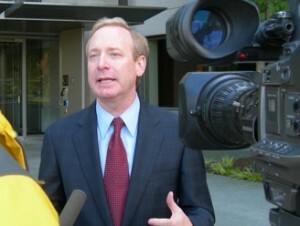 According to District Judge Loretta Preska US ordered and agreed Microsoft to follow the orders of the court. The company files a brief report in which they requested the court to reverse the judge order regarding the access of emails date from Ireland data center. This could jeopardize data and future of cloud computing will be in danger. Every business requires security of their constitutional records, consolidation plans and intellectual property worldwide as said by Pincus. This case was taken on urgent basis for media and tech companies as it is revelations of massive private electronic data which would be collected by the National Security Agency US from Edward Snowden, the former contractor NSA. Big technology companies like Apple and AT &T also supported Microsoft against Government to give accessibility in emails. 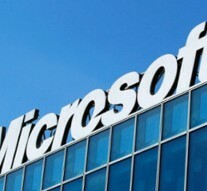 The fight started by Microsoft in 2013, claiming prosecutors of US were exceeding with demands of accessibility of data in offshore country which was without the proper legal guidance of territorial authorities. No matter emails are unknown but prosecutors wanted to access all data for the investigation of drugs. According to them, their demands for data accessibility from Microsoft will not violate the sovereignty of Irish because the employees of Microsoft US had proper control on the emails without residing in Ireland. Andrew Pincus, the Chamber of Commerce US lawyer in US largest business lobby claimed that this could force the chaos for individuals and business in cloud computing as other authorities will start claiming over storage data too. The security of data centers is critical to journalists, said Bruce Brown, executive director of the US-based Reporters Committee for Freedom of the Press. Much news related organizations such as The Guardian, CNN and the Washington Post along with universities computer scientists in whole US including Stanford, Harvard, and the Massachusetts Institute of Technology agree with the board. “The security of data centers is critical to journalists, we have stuff governments around the world want,” Brown said at the conference.